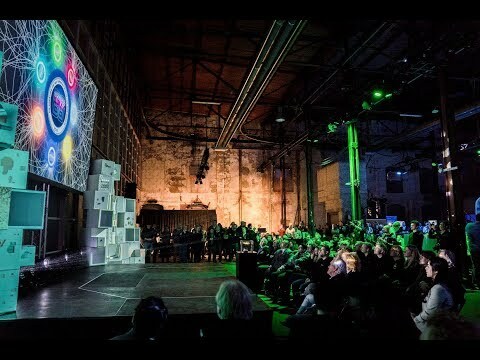 Blockchain nerds, jedis and wizards from across the globe united in the old sugar factory last weekend, to join the second edition of the biggest blockchain hackathon in the world. Over 700 participants from 5 different continents, divided over 63 teams worked on a new operating system for society and to compete over €100,000 in total prize money. The Blockchaingers Hackathon 2018 was the culmination of over 6 months of preparations, meetups and deep dives. That’s because this is far more than a standalone event. The goal is to turn these blockchain innovations, prototypes and solutions into actual products. Over the next few months, the winners can participate in acceleration tracks, one of the super accelerators being none other than software engineer, disaster consultant and global resilience guru Vinay Gupta. The future of work is evolving. No longer does an individual collect a pension by working for a single employer. Instead, people switch careers and jobs much more often, collecting benefits from multiple plans and companies. In addition, for the younger generation, a pension is no longer a guarantee in many cases. But saving up for something that is more than 30 years away, can be difficult to do. This track was won by team FHICTchaingers, a group of students, alumni and teachers of the Fontys Hogeschool. The team came up with a low threshold way to save up for your pensions, through various microtransactions, like the deposit for plastic and glass bottles. Instead of using the deposit receipt for a grocery discount, you can also directly have it wired to your pension fund. What if a patient really is the owner of his medical data? How would hospitals, pharmacies and caretakers change and become more effective when data is instantly available, standardized and verified when needed? What would decentralized, user-centrist, scientific medical research look like and what could true co-creation of new medicines mean for fighting diseases? Consense came up with a safe way for patients to share their medical information and data with researchers. This way, medical researchers have a lot more data to work with and patients can rest assured that their data will remain protected throughout the process. What if you are able to switch friction-less from supplier to supplier, based on a smart contract with your preferences and settings (green energy, local energy, cheap energy), with a totally transparent and verifiable measurement system and your data for you to use for your and society's benefit. Bencom, the company of well known entrepreneur Ben Woldring, did just that. The team came up with a hassle free way to switch energy suppliers, a process that normally takes up to 14 days, and usually goes wrong, with a lot of nasty consequences for consumers. Blockchain technology has a huge potential in crowd-sourced tackling all kinds of Public Safety and Security issues. Issues like tracking fraud, corruption and other criminal activity as well as providing a transparent proof of evidence throughout the justice system and all its players. Project Oregano tackled a very current issue: the full legalization of marijuana. The government recently gave the green light to give a license to marijuana growers. The team basically came up with a way to see just where your bag of weed came from and to make sure the overall quality is consistent. The cornerstone of becoming a digital nation must be developing the nation’s digital infrastructure. As this is not only the most important feature of the infrastructure of a digital nation, it is an important condition for all other developments. Also, getting these basics right is essential for society and economy in a global setting. These basics, like land registry or the national Chamber of Commerce, could benefit enormously from blockchain-based innovations, bettering services for citizens and businesses. The Ledger’s idea was to create a digital identity for houses. One the one hand, the government is able to see just which houses are eligible for certain grants, for example for solar panels on roofs. On the other hand, when say something in the house is broken, like the boiler, the owner can easily put a request on a digital marketplace, where contractors can bid on repairs and payments being done through an escrow. Internet of Things tech and sensors are great in theory, but can easily be hacked. This could potentially lead to disastrous consequences, like for example with self driving cars. What if machines operate autonomously on the blockchain? What if machines only need to interact with other machines? Can we create ecosystems where the machines work together beneficial for society? Team Kryha came up with an easy way to let drones operate on blockchain, using a Raspberry Pie. These drones could be used for a wide variety of task, from exploring planets in the far future, to well coordinated search and rescue missions in the present day. Identity is the biggest international challenge and conditional to ‘get right’, when building new blockchain-based solutions for our planet. Blockchain-applications will really lift off when no central authority or any other party has ownership of your identity. It must be you, and only you that controls who gets to do what with your (identity)data. The winner took a more general approach for this track however. Unchain built a platform to track and authenticate medical drugs throughout their entire supply chain. Counterfeit medicine is a real problem throughout the world, and their solution gives doctors in for example Third World countries an easy way to see if the medicine they hand out is actually real.